Highest Grade OF GANZO Model JUST NEW ARRIVAL!! The pliers jaws are spring loaded, with a slight needle nose taper. They have both fine flat and circular toothed gripping surfaces. 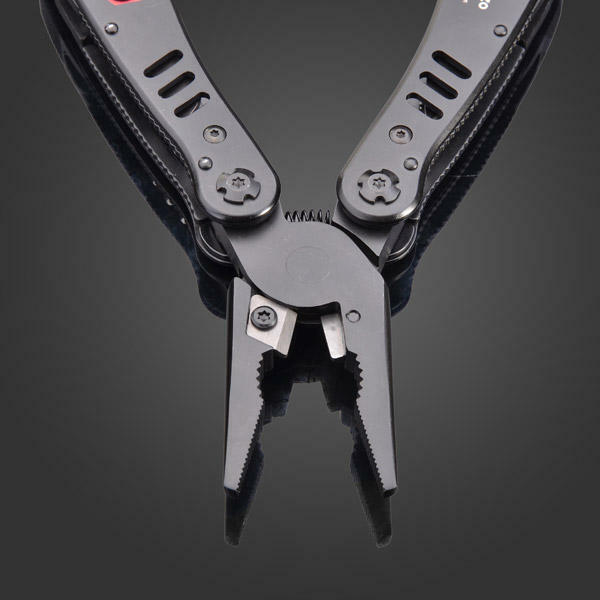 Near the base of the pliers, is a very useful wire cutter, and also a notch near the handle for wire stripping. The pliers has the advantages of portability, one object with multiple purpose and multiple functions which are integrated. 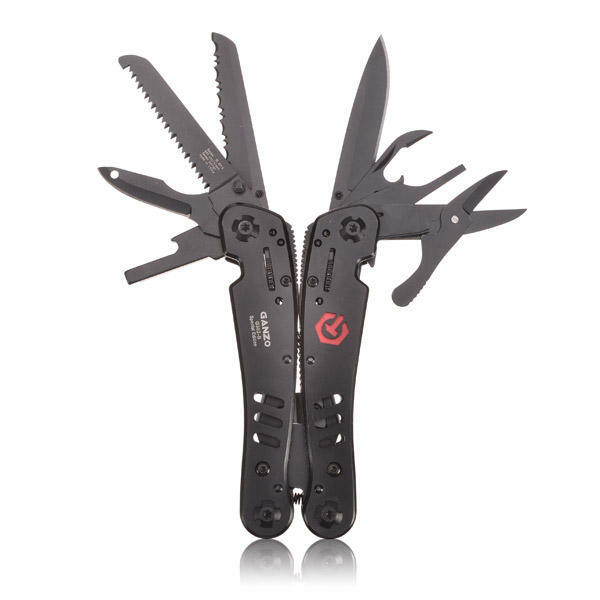 An multi tool (sport tool or recreation tool), ideal for backpacking, camping, river rafting, diving, kayaking, climbing, boating, fishing and daily works use. Comes with 12 pieces screwdriver set for you, make this tools much more help for your work or emergency sometime in the feature.